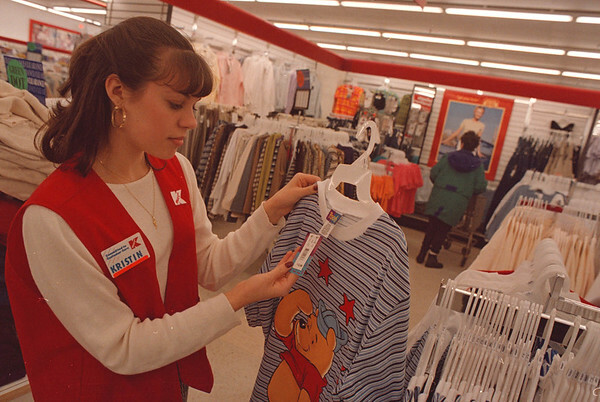 3/16/97--TAX CUTS/CLOTHES--DAN CAPPELLAZZO PHOTO--KMART WOMANS' CLOTHING CLERK KRISTIN O'LAUGHLIN CHECKS THE TAG ON A GARMENT IN THE WOMANS DEPT. OF THE MILITARY RD. STORE.